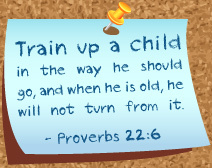 There are several different classes available at Windsor Christian Preschool based upon the age of your child. Each class features a 5, 6, or 7:1 ratio. Parents are invited to come in and participate in classroom activities with their child, and volunteers for classroom preparations are always appreciated. We recognize that God has created each child with a unique developmental timetable. Our curriculum allows for differences in ability and interests. A balance of child-initiated and teacher-directed activities and centers are offered to engage all types of learners. Every day, the children are given opportunities through various media to develop their imagination and creativity. Skills assessments are completed two times per year. A copy is given to the parent in late fall and spring. A parent-teacher conference is held in the fall or spring. What a wonderful beginning to your child’s preschool experience! Your young 3 year old is developing quickly and the thematic based curriculum gives your energetic and curious child the opportunity to explore this wonderful world God has created for them. Each day includes language development, simple math concepts, art, music, and stories. Self-help skills are taught as the children learn how to become more independent in cleaning-up and as we partner with you in potty training. Sign-language complements the curriculum. The children share in a bible circle time at the end of each session. During this special time the children learn bible stories that teach them about God who loves them very much! The Threes class learns through physical play and a variety of hands on activities. Each day is a different theme that includes language development, simple math concepts, arts and crafts, stories, music, and interactive games that provide the child the opportunity for having fun and meeting new friends in a nurturing environment. The children are taught Nursery Rhymes each month that aid in developing phonemic awareness, a crucial first step in learning to read. The children learn about God's wonderful love for them through Bible stories and verses. The Young Fours class stresses social and emotional development through role-play, games, and interaction with other children. An interactive circle time along with a variety of center activities are offered to encourage learning in all areas of development. The young four year old is introduced to the alphabet (upper and lower case) and number concepts. Sorting, lacing, cutting, and various arts and crafts are part of the preschool day. Integrated throughout the day is prayer and biblical truths that are learned through Bible stories and songs. The Fours class incorporates various developmental skills through weekly study units. Kindergarten readiness is fostered by centers and circle times that introduce alphabet (upper and lower case), number concepts, phonics, pattern recognition, sorting, cutting, and drawing. Our Language Arts curriculum incorporates the award-winning Handwriting Without Tears® as part of our daily routine. Math concepts are taught using the Hands-On Standards Math Curriculum. This curriculum supports the use of manipulatives which provide lessons that are active and engaging! Curiosity is enhanced through science and discovery activities and through a number of field trips throughout the year. Each child is given opportunities to develop his/her social and emotional skills through imaginative play, sharing, and interactive participation. An awareness of God the Father, and Jesus, His Son is developed through prayer, Bible stories and truths which are integrated throughout the day. Have your child participate in activities that normally cannot be done in a typical preschool day. Enrichment classes are optional and offered for fours and fives to supplement what is learned during the week.